For anyone who is interested in what I am reading/have read (or remember having read) there’s a link to Good Reads on the blog home page. I had wanted to use these pages to keep a record of every book I bought, borrowed or came by, along with where and how. It has proved beyond me to keep up. In an ongoing quixotic effort to prevent Amazon from pricing everyone else out of the market, I buy books from many different places – but such is the unhealthy need to get the next book, sometimes I still buy the odd thing through them and the associated ABE books. So instead of regularly updating a log of shops, I’ve listed some of my more regular haunts and favourites below the photo, while here is the story of where my obsession began. More often than not I’ll buy books from one of the following – Foyles, Charing Cross Road HQ, The Bookseller Crow (my brilliant local) on Westow Hill, Crystal Palace, Skoob, underneath the Brunswick Centre. Camden Lock Books (actually based inside Old Street Station), Emmaus Charity Shop on Knights Hill, West Norwood, Dulwich Books and Daunt’s on Marylebone High Street are also regulars. A great little indy in my old neighbourhood is The Big Green Bookshop in Wood Green. As I’ve noted in this blog post – Topping & Co in Ely is one of the finest new bookshops around. Whenever I’m lucky enough to visit New York I love to spend some time in The Strand Bookstore one of the largest independent bookshops in the US. Other than that it depends where I am, but if there’s a bookshop nearby, I’ll have to go in. We moved at the end of May. 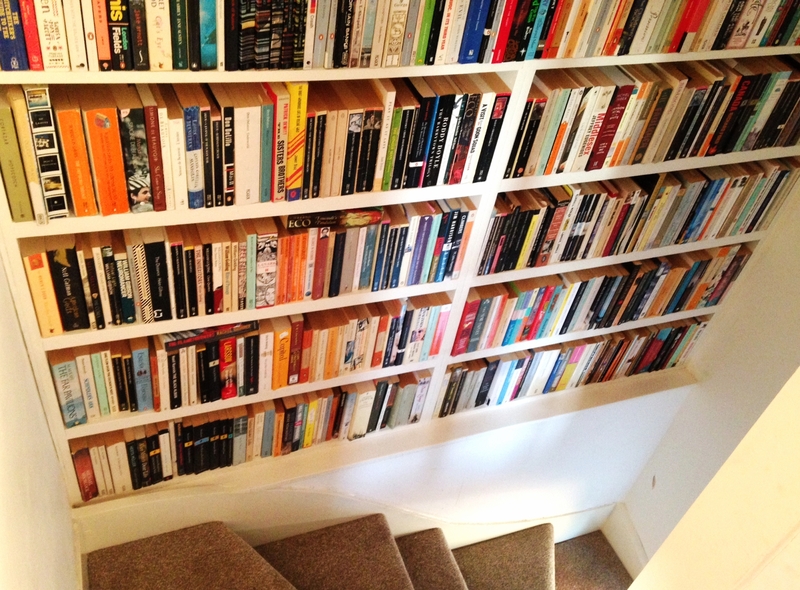 Now we’re in, there’s more space for more books. Two different lunch time visits to shops relatively near work. Had been meaning to visit for ages, but hadn’t got around to it. Now working nearby so have no excuse. It’s pleasingly packed with stock – some tottering in small piles in front of the shelves. There’s also a small, cupboard-like second-hand section out back. Read the first sentence, paragraph, page and was hooked. Deserves a late review post some time soon. Finished a couple of days later. Set along a stretch of the Regent’s Canal between Islington Tunnel and the Hackney, the novel centres on two characters, between whom, in terms of action, for most of the novel nothing much happens – but this would be an entirely superficial reading. Beneath the surface, teased at in the dialogue, whole lifetimes of anger, regret and sheer boredom gnaw at the protagonists until, as if the intensity of these suppressed emotions has got too much, things finally reach boiling point, as the novel reaches a genuinely shocking, but not quite conclusive moment. In some regards The Canal is a study of boredom, but it makes for compelling reading. Rourke’s deceptively simple style and spare prose says an awful lot with a little. The fact that much of the action takes place within such a small and particular area adds much to the intensity of the story. Reminiscent in some ways of a Pinter play, where as much can be read into the gaps between speech or narrative as in the prose itself, the novel is packed with beautifully observed – though often awkward or even violent moments. Where Rourke excels is in his ability to capture a very real sense of those inbetween places, or non-spaces, in our lives which we all too frequently pass through without ever properly regarding. An outstanding debut and well worth picking up and reading. No spare space in the car for bringing back anything we didn’t take with us, so am merely browsing in the Rough Trade tent. Don’t have any money to spare anyway. Walk out having bought Hops and Glory by Pete Brown, who’s previous book Man Walks into a Bar (a sociable history of beer) I’d read and enjoyed a couple of years ago. Damn. Rough Trade 1 – Me 0. 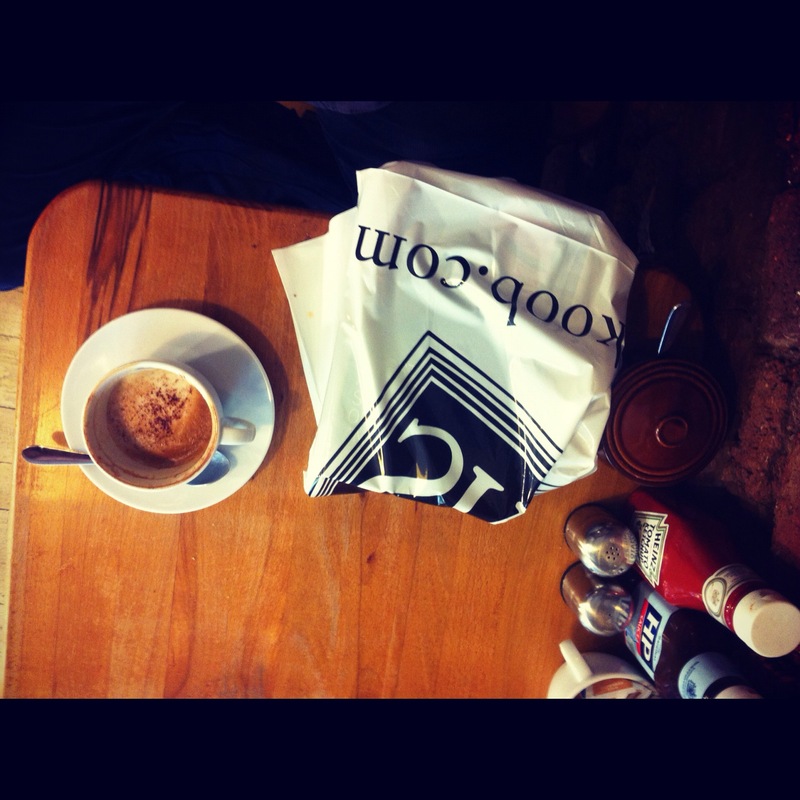 Lunchtime visit to Skoob in Bloomsbury. Ghost and Horror Stories of Ambrose Bierce, Dover Publications, 1964. The Illustrated Man, Ray Bradbury, HarperVoyager, 2008.